I had been searching for these two brothers for days. 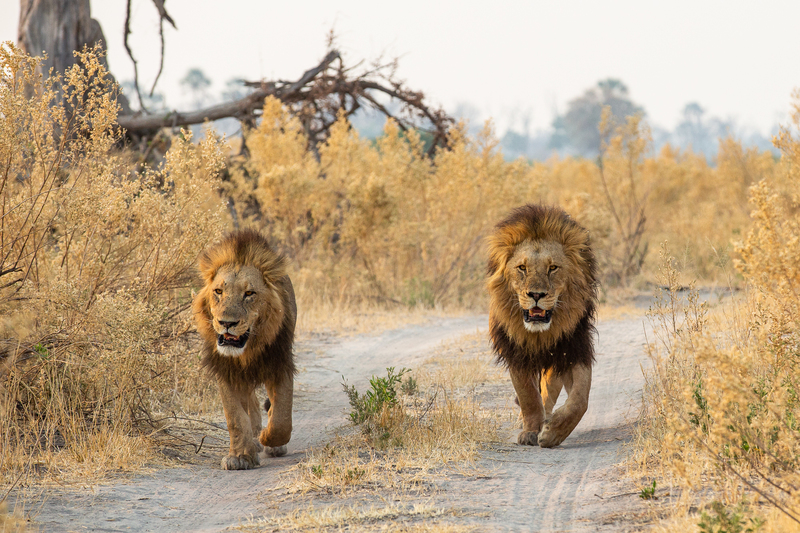 The dominant male lions of a particularly wildlife rich part of the Okavango Delta in Botswana. They had gone missing into their expansive territory in battle with rival males which had moved into the area and were disturbing the fragile balance which exists in nature. Unsure of their fate and that which awaited the next generation of lions in Chitabe, I searched for them hoping for the best but fearing the worst. And then.. like two untouchable kings they emerged side by side...striding through a thicket of golden wild sage trees..brothers in arms, victorious and menacing as only the Kings of the savanna can be.